These outtakes jump ahead in the content in a way that the Amazon preview does not permit. Hopefully this will give you a better idea of the scope of material covered in the book, in addition to the Table of Contents, which you can preview here. Welcome to The Gazetteer Writer’s Manual: Creating Travel Guides for Fictional Worlds. So you’ve created a fictional world, or are in the process of doing so, and if you’re not up to here in detail already, you soon will be. How do you make sense out of all this information? Even more importantly, how do you present it to your audience in a way that will invite them into your world and make them want to know more? Section 1 of this book is a meta-discussion about some design orientation issues that have a huge impact on world building and the flavor of your final result. Sections 2 through 4 go through the process of documenting the important parts of your fictional world. Section 5 shows you how to pull the essentials or most intriguing bits out of that larger mass and turn it into a “quickstart” guide that will jumpstart readers and players who want to learn about your setting. This is the product that most lends itself to the “travel guide” aspect in our subtitle, although the longer forms of the gazetteer can accomplish the same purpose of offering a tour through a land people have not been to before. The gazetteer you create can be used as a game accessory for rpg players, as story-world background for readers of fiction works, or as supporting material to LARPs, video games, screenplays, and other dramatic forms either for players or fellow designers. If you are writing for publication, GWM offers a roadmap for some or all of the writing process that takes you from world building notes to book for sale. This may be especially helpful for game designers with an eye to marketing rpg material, for the creation of sourcebooks and related content has long been a staple in that hobby industry. The Gazetteer’s Writer Manual will help you produce a commercially viable reference document for your world. 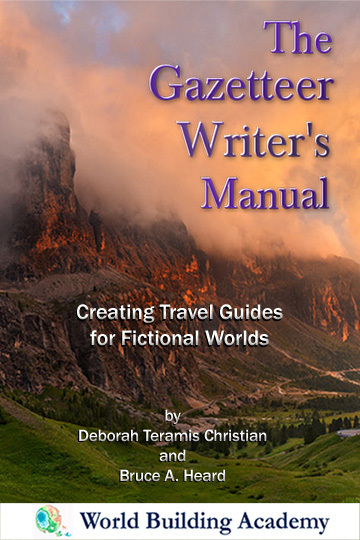 Fiction writers can also get unique mileage out of the gazetteer process. Today’s readers want much more behind-the-scenes info about the books they read and the story-worlds they fall in love with. A gazetteer is a perfect way to introduce readers to your world, to expand on things that did not properly fit into the story narrative, and give the big-picture context of your setting. A gazetteer can certainly be helpful for your own reference and writing process, but the marketplace is finally here where readers will also give such material a friendly reception. In the rpg world, the term “sourcebook” is commonly used to mean a comprehensive guide to a setting; less often, it refers to some selected aspect of a setting. There are sourcebooks that describe entire campaign worlds, and those that get into great detail about, say, a pantheon of gods, a warrior profession, or similar subsets of information. There is a key difference, though, between a gazetteer and the typical sourcebook. The latter is written primarily for a Game Master to understand and interpret the world for game purposes. It is common to have asides or whole sections dedicated to how to run the game or apply rpg mechanics to the setting. At the very least, there is an understanding that “this is a guide to gaming in this world” that informs the sourcebook approach to material. A gazetteer’s approach is subtly different. If it is for an rpg setting (as opposed to being strictly for a fiction writer’s use), it is also understood that a GM will be running a game in that setting. However, the gazetteer’s premise is that it provides an introduction to or tour of a place that readers have never been to before, primarily from the visitor’s point of view. Its focus is more on the setting itself: customs, culture, landmarks, holidays, politics, and so on. 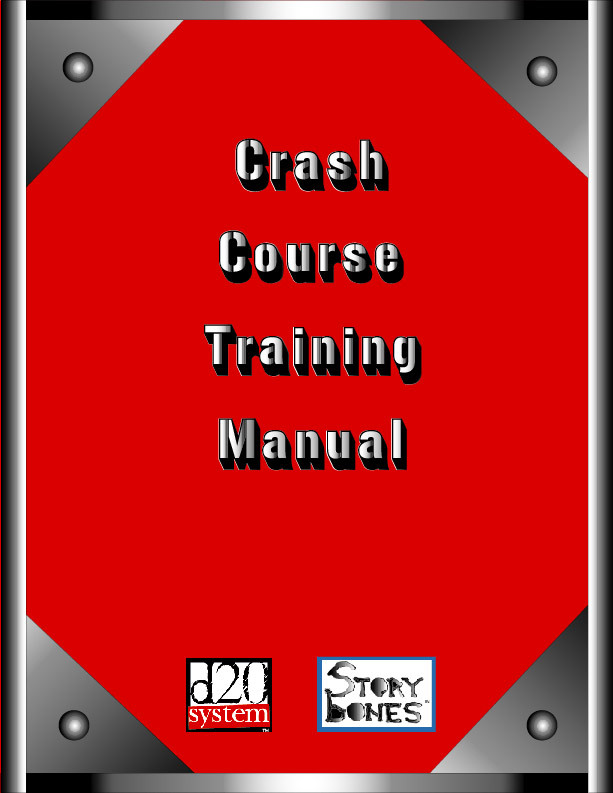 It does not generally dedicate much if any space to the “crunch” (i.e., the mechanics) of an rpg such as might be found in a sourcebook. This makes a gazetteer equally suitable for players to read, as well as GMs: it doesn’t usually give away things that are for the GM’s eyes only. In fact, some types of gazetteers, like the Quickstart example in this book, are made expressly for players and readers, to give them an up close and personal feeling for the fictional place they are going to visit or adventure in. The key distinction here might be to think of a gazetteer as offering a traveler’s eye view of the setting. A sourcebook, in contrast, may serve that function, but generally goes beyond it into GM-only and game-mechanics-related specifics. Of course, this is not a cut-and-dried distinction. The Minrothad Guilds Gazetteer, for instance, includes a trade simulation for the use of both players and GMs. But this kind of information is not the central focus of the book, and considering the balance of the material, it clearly falls into the gazetteer camp. Conversely, a gazetteer that is extremely detailed and comprehensive may morph into sourcebook status simply by virtue of providing such a thorough (dare we say exhaustive) treatment of the setting. Although it may lack GM-specific sections, it offers such a well-grounded treatment of the fictional world that it becomes a one-stop-shop for information on that setting. Practically speaking these distinctions may not matter too much, but because our focus is on world building, not game design (with its back-end “GM-only” material), we are framing this manual in terms of creating gazetteers, not sourcebooks. I don’t think these distinctions are common in the rpg industry (maybe because people just don’t seem to discuss these differences much), but I find them useful to articulate when we are concentrating on how to create a gazetteer, and many of our readers have more experience with sourcebooks than with the more narrowly focused gazetteer. The original gazetteers became popular in the 18th and 19th centuries as colonial empires grew and it became necessary to publish useful and important information about those distant possessions. In the spirit of exploration, then, let us sally forth and discover the bounds of your world, recording what we learn as we go. 1. “rpg” – for those unfamiliar with the hobby, this is the acronym for “role-playing game.” Dungeons & Dragons was the first of its kind, but there is huge diversity in the marketplace now. For younger sprogs who think “rpg = computer game,” I will resist the urge to digress on that topic and simply say that everything rpg-ish discussed here is aimed at table-top (not computer) gaming. That said, the advice we offer about what information is important to detail about a setting can also be applied to computer games with well-developed worlds. Therefore, if you are a computer game designer or narrative designer doing world building, you will also find this content to be of use. Teramis here, writing this bit. This chapter is a (somewhat lengthy) discussion on design orientation, and in particular about the tension between what I call “hook-first” versus “history-first” design. 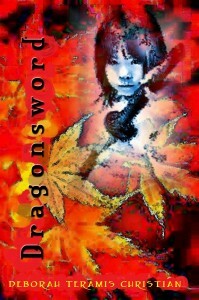 • Starting with a hook is common advice in creating settings, especially in the rpg and short fiction fields. • We take that direction in this book because it produces marketable rpg-oriented gazetteers, but this is not the only approach worth using. • Personally, I advise the history-first, “organically evolved world” approach, which yields settings I feel are more internally consistent than hook-first typically creates. • Which way you proceed, or if you try a blend of the two, will have lasting effects on your setting. 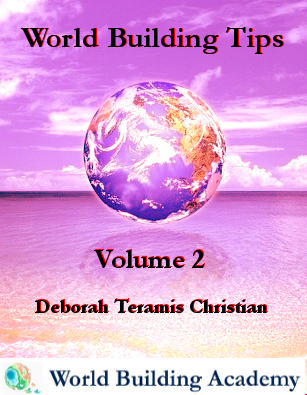 Most how-to material in sections 2 through 4 of this book addresses world building from a “hook first” perspective. Rather than write two separate books under one cover (to cover both approaches), I let the hook-first orientation speak for itself in these pages. (At a later date I’ll write a separate world building book on the history-first angle). . . To read more about the tension between hooks and history, just turn the page. To jump ahead to the hands-on world-building and gazetteer-writing stuff, go to 2 Getting Started. The process we cover in this book will create a master manuscript and possible ancillary manuscripts. 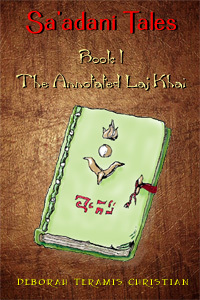 The master manuscript is a core reference work that contains all essential information about the setting. It is more, rather than less, comprehensive. In writing this master document, you produce a comprehensive gazetteer for your setting. 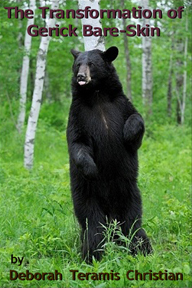 But this core reference work typically contains much more information than you would want to put into a player handout or any quick(er) reference forms for your readers, audience, or collaborators. You need to carefully consider the purpose that a gazetteer is meant to serve in the hands of your readers. If you decide to distribute the master tome as-is, then you don’t need other versions of it, but that is not in fact the most appealing way to share world-building content with others. It works fine if this is an encyclopedic source used for writing projects by a team, but is not so charming if it is meant to be a fun, focused, and easily used reference for fans, gamers, and other readers. 1 Naturally, the length and complexity of the master document varies depending on the size of the setting covered, the depth of the information offered, and the degree of world building work that has been done to develop that setting. A complete master gazetteer can in fact be a brief and handily readable quick reference document in its own right. But the gazetteer writing process we walk through in this book does indeed lend itself to longer, rather than shorter, treatments of settings, and many world builders have already generated reams of information about their worlds. It is with this massive data production in mind that we caution against the potential ponderousness of unleashing a master gazetteer as-is upon the unsuspecting reader. • Hand-pick a subset of information to pass on in the ready-reference gazetteer. Don’t just copy chunks of the master document wholesale without considering the purpose and impact of the text you are recycling. • Pick a unifying theme or focus to the content. You want the “hand-out” gazetteer to have an angle, the more entertaining or intriguing the better. Maybe your gazetteer is “The New Villa Owner’s Guide to Old Londinium,” or “Common Knowledge: Daily Life in the Duchy of Nimm.” An interesting angle on your world gives your readers an easy in to the information. • Abridging the master gazetteer generally just produces a shorter version of still-ponderous information. Be prepared to rewrite key reference material in a more easily consumable or entertaining format for your hand-out gazetteer. • Pick a form and length that suits your readership and the purpose the secondary gazetteer is intended for. The document can be as brief as a five or ten-page summary booklet talking about geography, currency, travel possibilities and important locals for a single village in your world. This might be a place featured in a short story (which readers will be curious about), or it might be the spot player characters will make landfall when they travel across a lake to the far shore. A gazetteer can be a moderate-length book detailing a single province in that growing hobgoblin kingdom (given as an example in Section 1), or it can be a larger book detailing the kingdom as a whole. Gazetteers can feature your setting from any angle that makes sense: the lands along a major trade road, the capital of an empire, the pirates of a sea-faring coast, an overview of several planets colonized in a distant star system, and so on. Picking an interesting focus here lets you package up the secondary gazetteer around a unifying theme and related points of interest. 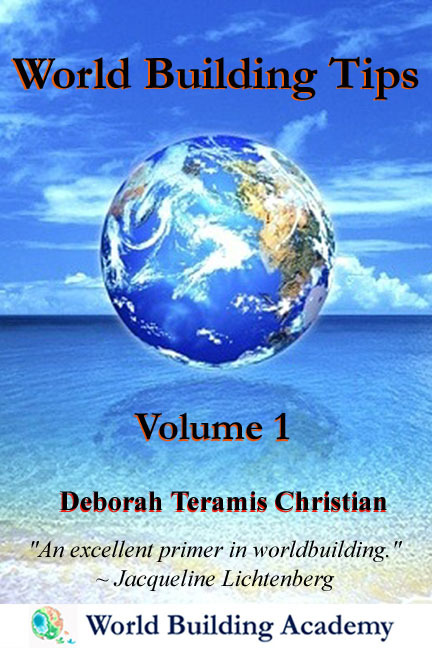 Readers will gobble up the info because they’ll be curious about that aspect of your world. The goal with secondary gazetteers based on the main document is to break a mass of information down into something more manageable for your readers. The exception to this might be if you are creating a comprehensive story bible for use by others (perhaps for large-scale MMO game development, screenwriting, or shared world writing projects), in which case you’ll want all the detail in the primary gazetteer to be accessible to all. Secondary books may also be moot if your master document is not long or extensive, and you want to use it as-is. In any case, we’ll use the term “gazetteer” throughout this book to refer to both master reference document as well as to its derivatives. Fiction Writers: The main gazetteer or story bible is for your own reference, but the secondary gazetteer contains information readers would enjoy or that you simply want them to have. It probably isn’t the entire story-world, but only selected aspects of the core reference material. It can be long and substantive, or short and punchy– whatever tone you want to strike to create a sense of your world with the reader. This gazetteer can be used as free downloadable background files, distributed as promotional material, or even be bundled and sold along with your book, which is especially easy to do if you are self-publishing and selling work digitally. The Heavy Hand of the Law . . . Or Not. There has long been a trend in fantasy settings – especially in role-playing games, but also in film, fiction, and other media – for laws to be aggressively enforced by the agents of authority. These are usually armed and highly repressive forces: soldiers, not police, and civil liberties are generally ignored. It wasn’t necessarily so in the real world, but this black-and-white, violence-first, oppressive hand of authority does one thing well: it creates conflict. The problem is that this is simplistic conflict, and more to the point, it ignores the variety of ways societies have had of enforcing laws and dealing with wrong-doers. Conflict of course has its dramatic purposes, but having “soldiers of the watch” chase down our wayward adventures any time they step wrong is, well, shallow, historically inaccurate, and a goofy shortcut out of really thinking about law enforcement in the fictional world. Peer pressure and social norms – also called “social control” – are actually one of the most universal and seriously effective ways of maintaining order in every civilization we know of. There are classic examples of this especially in Asian cultures, where the consensus and support of the group is especially valued, and individuals adopt proper behaviors – including obeying laws – in order to conform to the society around them. In the notoriously (and historically) individualistic West, people more often say the heck with authority, and go their own way than do those in the East, but even here, social expectations and peer pressure do much to keep people obedient to the dictates of authority. When social control fails, though, what do authorities do? Unless you have a World War II setting or a futuristic dystopia, they do not usually send jackbooted thugs to kick in doors and haul miscreants away in the night (though that can certainly be an entertaining option from the world building perspective!) Instead, there will be a series of steps authorities take to right wrongs, escalating in reach and forcefulness if lesser steps are ineffective. But escalation from legal authorities can create or provoke conflict with the people. As a result, civil obedience may go only as far as law enforcement can reach. From the point of view of a gazetteer, this can be used as a source of tension and intrigue when people find themselves on the “wrong side” of the law. When unrest turns into civil disobedience, law enforcement will get aggressive; if it worsens, the military may get involved. If that happens, it is time to start thinking about revolts and rebellions as detailed in section 4-1-2-3, Wars, Revolts, Disasters. 1. Since the example of Asian cultural conformity is offered here, it should also be noted that this does not necessarily mean there is less crime in such cultures. What it means is that people are seen to be obeying laws. What is going on behind the scenes might be something else entirely. This cultural attitude does, though, tend to make things like open defiance of authority less likely to occur than in western cultures. What is a shopkeeper’s recourse when his store is burgled in the night? Is there a police station to go to and make a report to? If so, this will trigger an investigation of some sort, ideally leading to an arrest and a conviction. But maybe police do not exist, and there are only night watchmen who will “keep an eye out” for prowlers, but can’t help retrieve the goods. Maybe there is only the local lord to ask for help (and maybe best not bothered, with such a petty matter). Or, in different kinds of cultures, maybe one goes to the council of elders and lodges a complaint, someone gets guilt-tripped, and the stolen property is mysteriously returned. The real world offers many examples of alternative police forces, such as Ancient Greece using slaves (3,000 Scythians in Athens handled law-enforcement). Ancient Egypt featured the Medjay in various guard functions, commanded by native Egyptians but often associated with Nubians to such an extent that police and mercenary became synonymous. In medieval Spain, Hermandades were municipal leagues originally raised to protect pilgrims traveling to Santiago de Compostela, and who eventually handled police duties. By the 1500’s in England, as was the case in Ancient Rome, private watchmen handled basic police duties. Rome also relied on Urban Cohorts for heavy duty work, such as mob control or actions against banditry; it also provided a counter-balance to the power of the Praetorian Guard. The term “police” and its modern understanding first appeared in France in the 1600’s under Louis XIV, with the appointment of a Lieutenant Général de Police. From the point of view of an autocrat, the “police” enforce “policy,” which has more to do with government interest than justice. Even before the creation of police or organized watch forces, there was tension between government interests and those accused of crimes about what was a reasonable exercise of state authority. This created an expectation that persons rendering justice be knowledgeable of the laws and without personal bias. In Ancient Rome, there was no concept of state prosecution―it was the responsibility of an injured party to organize prosecution. In the later western world, state authority took it upon itself to prosecute those who transgressed its laws. This power of the state was balanced by a movement to practices like due process and trial by jury: procedures intended to ensure that rules were followed and accused persons got a fair trial. When thinking about law enforcement in your setting, you do not need to consider all possibilities under the sun, but you do need to give some thought to what makes sense given the society you have created, who is responsible for law and order, and what clout different classes of people have (or don’t have) when appealing to legal authority. Look at the capabilities and interests of those responsible for enforcing the laws. Manpower is always an issue, as is funding, training, and scope of authority. The will to enforce laws is also relevant: a kingdom may have harsh punishments for smugglers, for example, but if the High Sheriff is on the take and gets a cut of every cargo, it will be a long while before those pesky smugglers are investigated, arrested, and thrown in dungeon cells for life. . .